He hasn't got the balls! Andy, I've got an X-bow which is the bottom of the range 'cross bike. It's good for what it is and have no issues with it. Can't say it's spectacular but it's a 'cheap' bike. That one does look nice! Sounds reasonably non-negative enough that I can class it as positive! i suppose I'm trying to think long game, I know if I compromise on certain things, I'll always be turning my nose up. So that's inevitably going to move my price bracket up. Most of my bikes have been cheap bikes and they've served me fabulously well. The only one which wasn't up to what I was doing to it was my first entry level hard tail. Some adjustments to spec and usage and it's now found its niche in my garage! #n+1 The current roadie has done sterling service but I think I'm ready to move up level or two. I have to stay non-positive.. I'm working out how I can justify zero percent financing one of these for next season..! ooh! That's nice. Lovely paint job. 0% finance is almost an investment in today's climate! 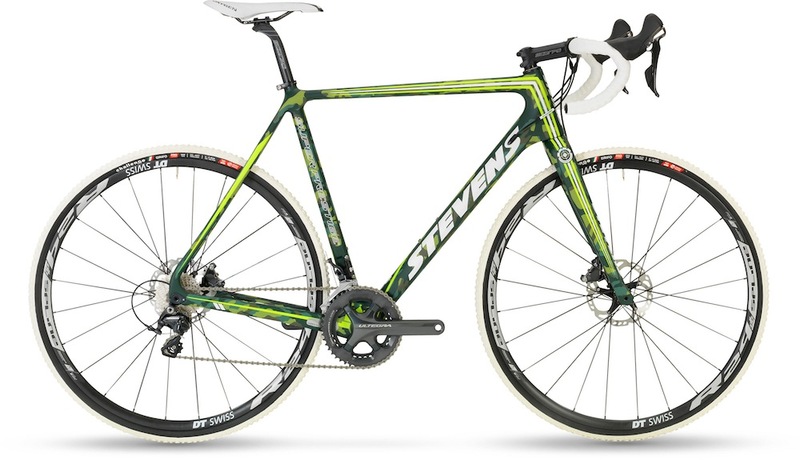 I like a nice Stevens (and Ridley!). The tyres on that Stevens are gopping though. What sort of word is that!!!?? I wouldn't like to be the one cleaning those after a muddy ride though! I'm still waiting for some Tristan abuse. Especially now since I mentioned Firefly! Yes, those tyres would go asap if I did actually get one. Bizarrely for quite a high end brand they seem much more reasonably priced than all the others for my cx wishlist (carbon frame, discs, tubeless ready wheelset, a front derailleur, sub 9kg). Tristan is not thrusting anything at the moment! And all these road bikes with their high seatposts are making me wince. I think I shall be riding in the standing position for a little while. It's a niche market, and we know Tristan likes to be niche!